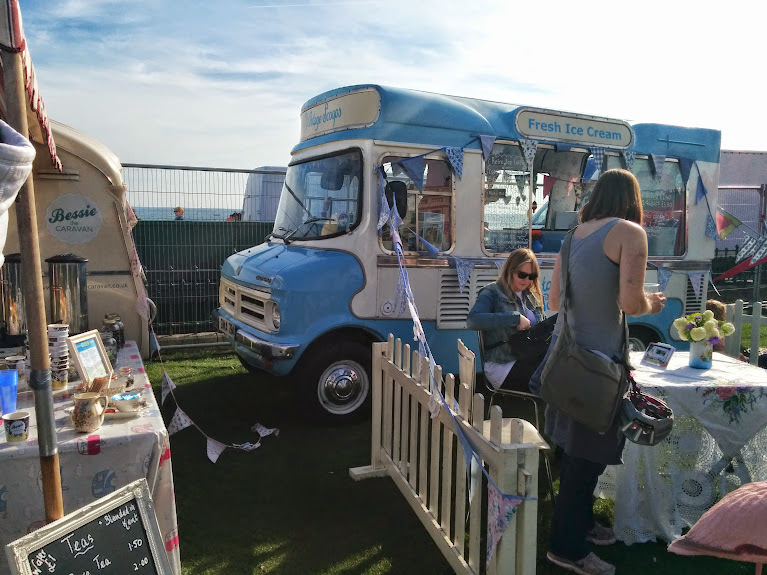 Brighton Foodies Festival comes again! It’s becoming a (very tasty) tradition to head to the Foodies Festival with Colin and Jess every year. And yes, traditions can be called as such after just two years, it’s official. Last year Jess was pregnant, and this year we had a little baby A in attendance! She drooled a bit and seemed to enjoy herself, so I think everyone had a great time overall. I was only slightly disappointed in that my chosen main dish of the day, a steak and onion baguette, was supremely underwhelming, despite looking like the most delicious thing I’d ever seen (see above and tell me that doesn’t look so tasty!). I followed it up with a delicious strawberry tart though, and Jon was kind enough to share some of his amazing jerk chicken combo plate with me, so you win some, you lose some, I guess! Oh, and we shared some sous-vide pork cheeks, which were also crazy good. And we bought some biscuit butter, which is like peanut butter but tastes like cookies. Also, lots of French cheese (bought from a very handsome Frenchman who was charmingly passionate about cheese) and various salamis because the German guy selling them was a hoot. 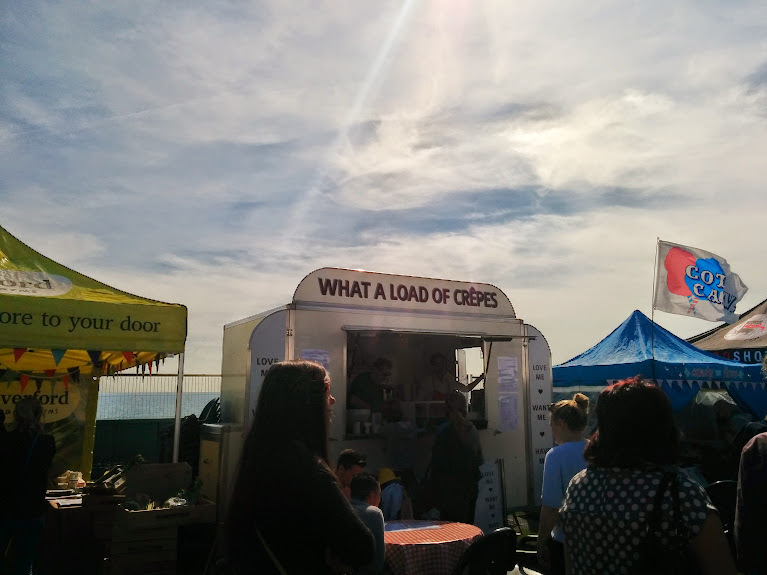 I am a sucker for these food festivals, I tell you. While it wasn’t quite as hot and sunny as last year, the weather was still great, and there just isn’t anything better than drinking kir royales in the sunshine with your friends, now is there? It almost seems like summer is already here, but I don’t want to get ahead of myself. I guess since winter didn’t seem to happen, and we’re anticipating another unseasonably warm summer, I am just jumping ahead a few steps. But I want it to be about 20 degrees warmer this summer, so let’s not pretend it’s here already! It was really nice to escape the house on Sunday and take a break from all the paint fumes and various household DIY things that took up the rest of the long bank holiday weekend. Now to gird my loins for a busy, but short 4 day week…girding…..girding……annnnnnd I’m tired already. Getting back into the swing of things is hard. Thank goodness for good friends. I love these guys. grace a vous, j’habite. (i think thats right). je t’aime.